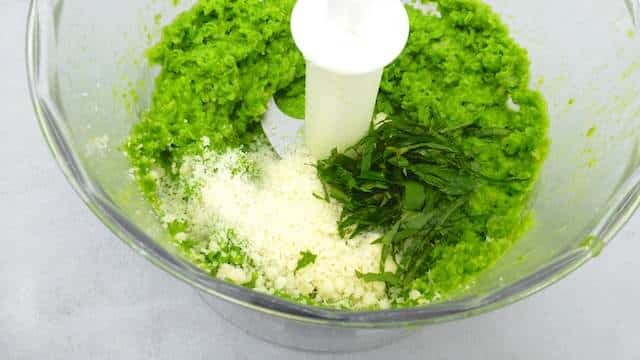 Homemade Ravioli Recipe with Peas & Mint | Simple. Tasty. Good. I was anxious to prepare my own handmade and homemade ravioli recipe from scratch but my sweetest enemy was TIME. But at last: a dream come true! I swear, it took me 3 hours to work my way through this meal but I loved it. Easy pace, glass of wine, little music… It worked out just fine. Love making fresh ravioli from scratch? Then also check out my fresh pumpkin ravioli with sage butter sauce! 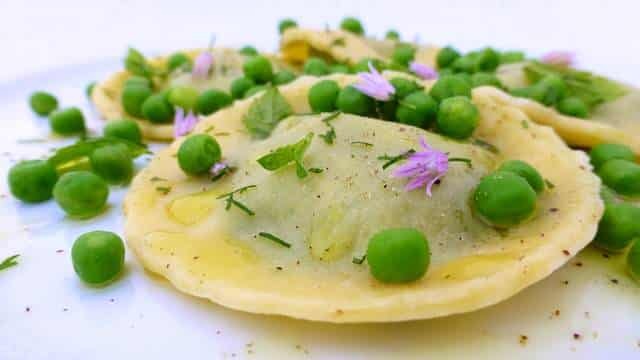 Fresh ravioli with peas and a surprising hint of mint. 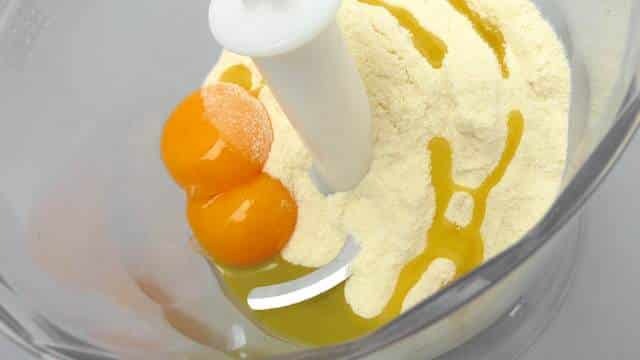 Pour the pasta flour in a clean blender and add the 2 egg yolks. Pulse a few times. Then gradually add little drops of olive oil until you get a firm dough. 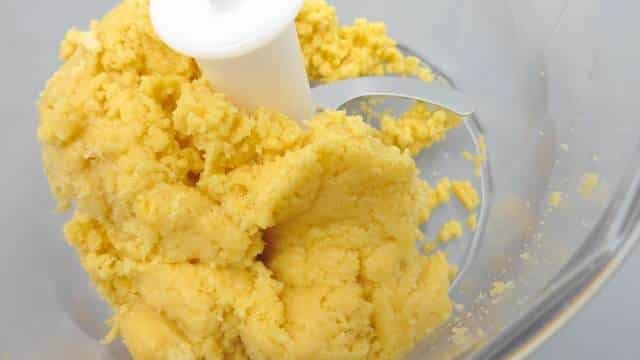 Pour the dough onto a clean surface and knead it for about 3 minutes until smooth. Wrap it in clingfilm and let it rest for 30 minutes at room temperature. In the meantime pour a little olive oil in a large sauce pan, add the chopped yellow onion and garlic clove and place the pan over medium heat. 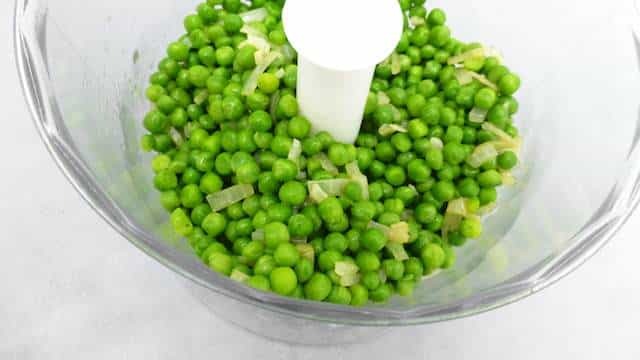 Cook for 3 minutes and then add the frozen green peas. 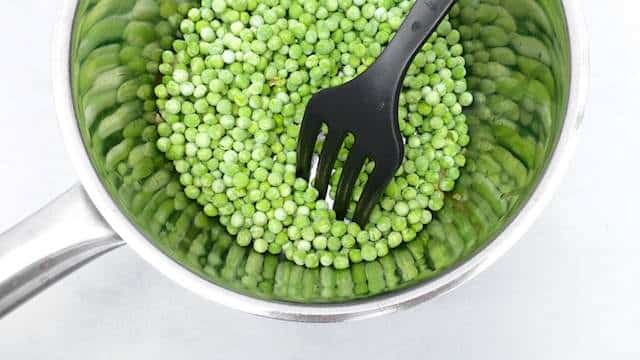 Stir and cook the peas gently for 4 to 5 minutes. Season with a little pepper and salt. Then take the pan off the heat and pour the cooked peas in a clean blender. Pulse a couple of times into a smooth puree. Then add the fresh mint and the grated parmesan cheese. Pulse again. Check the seasoning and add extra pepper or salt to taste if necessary. Put the pea stuffing aside until needed later on. 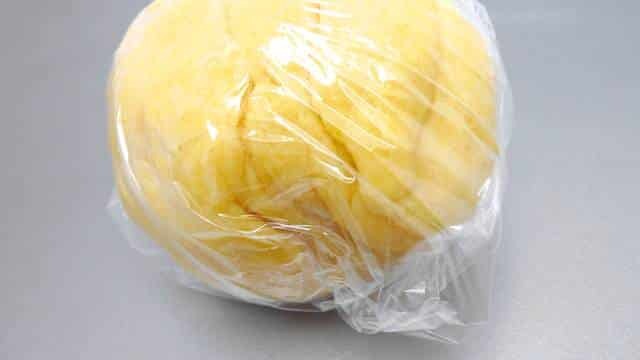 Unwrap the pasta dough, divide it into a couple of pieces and roll them out thinly one by one (I went as far as stand 7 on my pasta machine). With a round ravioli cutter or serving ring, cut out circles of dough. 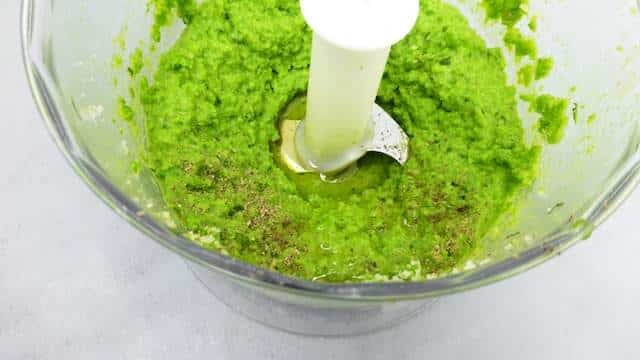 Put a teaspoon of pea filling onto a pasta circle. Cover the edges with a little egg wash. Then place another dough circle on top of the filling. Gently fold down the sides and work your way around the pea filling, pushing out all of the air. Thighten both pasta circles with a fork, a ravioli stamp or a cookie cutter like I did. Keep the finished ravioli under a damp kitchen towel and put the badges in the fridge or the pasta may get sticky. 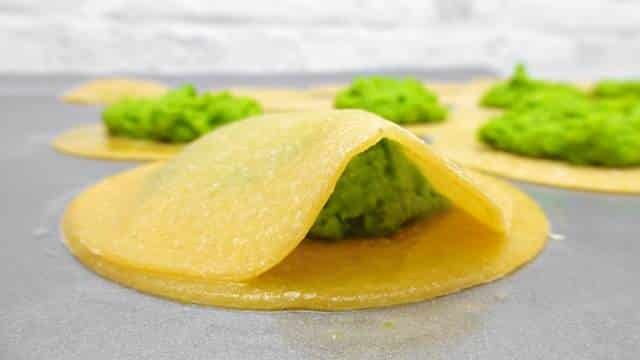 Make ravioli until all of the pea filling and pasta circles are used. Heat a generous amount of salted water. 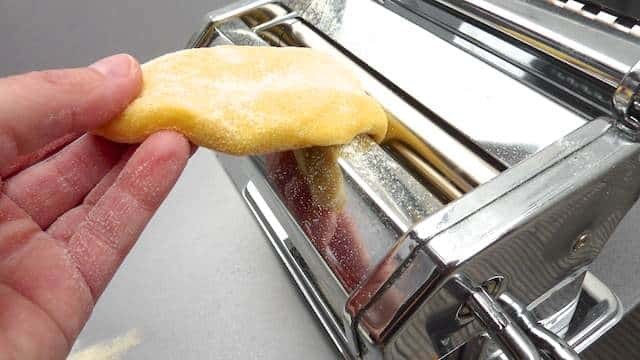 Cook the ravioli for 2 minute until al dente. Take them out with a slotted spoon. Place the ravioli onto warm plates. Sprinkle with some olive oil, salt and grated parmesan cheese. Serve immediately.